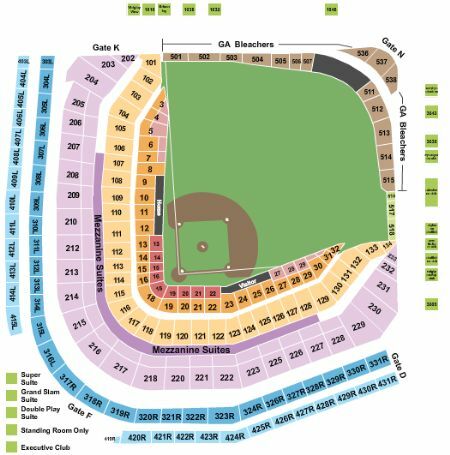 Chicago Cubs vs. Milwaukee Brewers Tickets - 5/10/2019 - Wrigley Field in Chicago at Stub.com! Tickets will be ready for delivery by May 07, 2019. Mobile Entry Tickets. Must have smart device on hand to enter event. Do not print these tickets. Tickets will be ready for delivery by May 09, 2019. Mobile Entry Tickets. Must have smart device on hand to enter event. Do not print these tickets. Tickets will be ready for delivery by May 06, 2019. Does not include admission to event. Tickets will be ready for delivery by May 06, 2019. Mobile Entry Tickets. Must have smart device on hand to enter event. Do not print these tickets. Tickets will be ready for delivery by May 03, 2019. Mobile Entry Tickets. Must have smart device on hand to enter event. Do not print these tickets. Tickets will be ready for delivery by May 07, 2019. Mobile Entry Tickets. Must have smart device on hand to enter event. Tickets will be ready for delivery by May 08, 2019. Mobile Entry Tickets. Must have smart device on hand to enter event. Do not print these tickets. Tickets will be ready for delivery by May 08, 2019. Tickets will be ready for delivery by May 08, 2019. Mobile Entry Tickets. Must have smart device on hand to enter event. Do not print these tickets. Tickets will be ready for delivery by May 10, 2019. Mobile Entry Tickets. Must have smart device on hand to enter event. Do not print these tickets. Tickets will be ready for delivery by May 05, 2019. Xfer Mobile Entry. Scan your tickets from your mobile phone for this event. Do not print these tickets Tickets will be ready for delivery by May 06, 2019. Mobile Entry Tickets. Must have smart device on hand to enter event. Do not print these tickets. Tickets will be ready for delivery by Apr 30, 2019. Mobile Entry Tickets. Must have smart device on hand to enter event. Tickets will be ready for delivery by May 03, 2019. Tickets will be ready for delivery by May 09, 2019. Tickets will be ready for delivery by May 06, 2019. Mobile Entry. Scan your tickets from your mobile phone for this event. Do not print these tickets. Tickets will be ready for delivery by May 06, 2019. Tickets will be ready for delivery by May 03, 2019. XFER Mobile Entry. Scan your tickets from your mobile phone for this event. Tickets will be ready for delivery by May 06, 2019. If more than two (2) tickets are purchased from this group your tickets may be adjacent to each other in two consecutive rows. Mobile Entry. Scan your tickets from your mobile phone for this event. Do not print these tickets. Tickets will be ready for delivery by May 06, 2019. Tickets will be ready for delivery by Apr 26, 2019. Does not include admission to event. Tickets will be ready for delivery by May 09, 2019. Home teams side. Second row. These seats are directly behind the home team bullpen within the first ten rows.